US coast battered by wind, rain as Hurricane Florence closes in - SABC News - Breaking news, special reports, world, business, sport coverage of all South African current events. Africa's news leader. 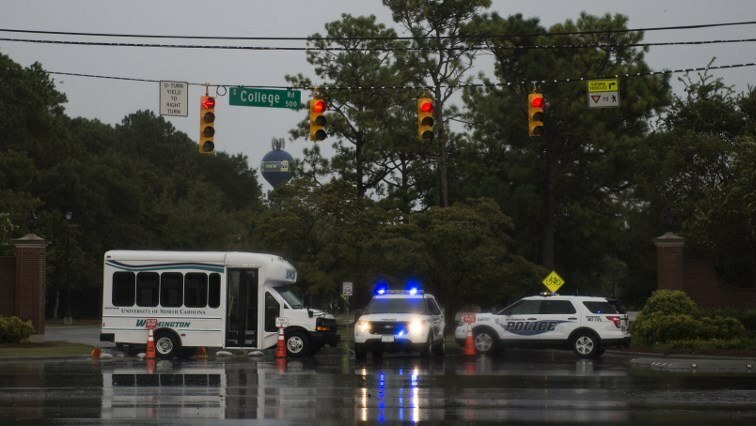 Police block a road as rain from Hurricane Florence falls in Wilmington, North Carolina. Hurricane Florence battered the Carolinas early Friday with howling winds, life-threatening storm surges and torrential rains as it edged closer to the coast in what officials warned is a “once in a lifetime” event. This entry was posted on 14 Sep 2018,12:46PM at 12:46 PM and is filed under Sci-tech, News, Homepage Latest Stories Slider. You can follow any responses to this entry through the RSS 2.0 feed. Both comments and pings are currently closed.